Whether you are just opening an office or you have been practicing for years, budgets and financial projections are crucial to your success. When you analyze your financial goals and your current rate of economic growth, you can more effectively plan for the future. Budgets and financial projections are especially important for veterinarians since they must juggle the duties of business ownership with the daily tasks of animal medicine. Reliance Consulting, LLC is an excellent choice for assistance with these important financial tools. For years, our accountants have been helping small business owners in the Tampa area. They thoroughly understand the needs of small business owners and health care providers, including veterinarians. Contact our office today to find out how we can help ensure your practice succeed. Budget and financial projections look similar, but they have very different functions. 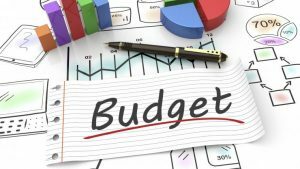 A budget outlines your fiscal goals for your business. It looks at cash flow, profits, losses, and related data. Prepared once a year, a budget does not outline your actual monetary state. Rather, it serves as a guide as you evaluate your business success. At regular intervals, you and your accountant will compare your current financial health to your budget. Whenever possible, you want to bring the two sets of data in line with one another. However, because the economy and medicine are constantly changing, you should reexamine your budget on a regular basis. In this way, you can make sure that your financial goals are still feasible. Forecasted cash flow: Based on your current business, your CPA can predict the capital coming into your practice on a weekly and monthly basis. It will provide a detailed understanding of the financial status of your business. A forecasted cash flow will also help your accountant spot potential problem areas. Sales forecast: A sales forecast also looks at income for the coming year. However, it breaks things down on a month-to-month basis. A sales forecast will make it easier to budget, plan advertising campaigns, and strategize for the year. For example, if you routinely make the most money during the summer months due to boarding services, you could plan to invest in new equipment the following fall. Year-long balance sheet: The most comprehensive of the three documents, a year-long balance sheet provides an estimate of your liabilities and the current worth of your practice. This type of projection is an important part of business loan assistance. Both budgets and financial projections are important for the wellbeing of your business. As any consultant or coach will tell you, goals are a key to success. A budget sets tangible financial goals for your practice and gives you a benchmark for achievement. Our accountants can help you set a realistic budget that will still motivate you and your team. Although budgets are important, financial projections are essential. These documents will provide practical guidance to help you achieve your goals. Additionally, projections will reveal current and future problems. For example, if there is significant variance between projected and actual cash flow, you and your accountant can look for discrepancies, delinquent payments, and similar concerns. At Reliance Consulting, we do not simply balance books and calculate figures. We will help you create a plan for long-term practice success. As experts in small business finances, our firm is a great option if you need help with budgets and projections. Additionally, we offer unique services specifically for veterinarians. We are familiar with the specific concerns of this business. Therefore, we can help you lay a groundwork for financial stability and future growth. If you need help creating a budget or projecting future economic growth, contact Reliance Consulting today. Located in Tampa, we proudly serve clients from the surrounding areas, including Petersburg, Clearwater, Sarasota, Pasco, Lakeland, and the greater Tampa Bay area.